Application Deadline: 23:59 CET 14 February 2019. The Swedish Institute (SI) is now launching . Swedish Institute Scholarships for Global Professionals (SISGP), a new scholarship programme which replaces Bolsas de Estudos do Instituto Sueco (SISS). 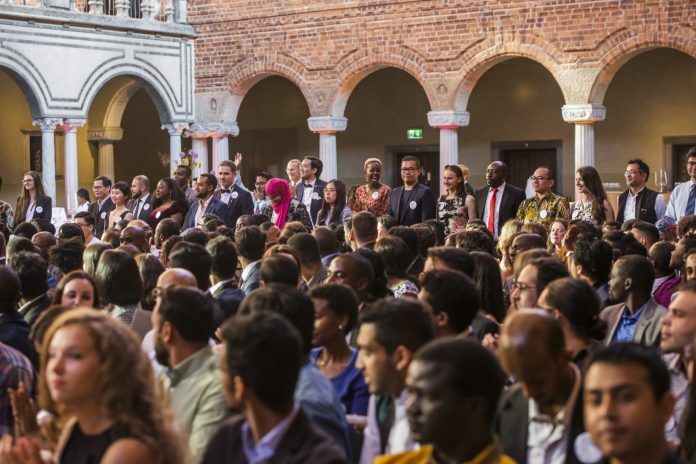 The Swedish Institute Scholarships for Global Professionals (SISGP) programme is part of the Swedish government’s international awards scheme aimed at developing global leaders who will contribute to the United Nations 2030 Agenda for Sustainable Development. É financiado pela Ministério dos Negócios Estrangeiros da Suécia and administered by the Swedish Institute (SI). The programme offers a unique opportunity for global professionals to develop professionally and academically, to experience Swedish society and culture, and to build a long-lasting relationship with Sweden and with each other. Uma carta de motivação: you must use the SISGP form for motivation letter 2019/2020. You need to fill in and upload the motivation letter as a PDF-file on the application portal during the application period. Duas cartas de referência diferentes: you must use the SISGP form for letter of reference 2019/2020. At least one letter of reference must be based on your work experience. It will be a merit if the second letter of reference is based on your involvement in networks or civil society organisations lado de fora of your regular work. The letters should be signed by the referee and stamped with an official stamp of the referred organisation or a notary office. The form(s) should be typed, then printed, signed and stamped; and then be uploaded as one PDF-file. You can find more information in the instruction in the form and in our Perguntas frequentes. Prova de experiência de trabalho e liderança: you must use the SISGP form for proof of work and leadership experience 2019/2020. The work and leadership form should be signed by the referee and stamped with an official stamp of the referred organisation or a notary office. The form(s) should be typed, then printed, signed and stamped; and then be uploaded as one PDF-file. You can find more information in the instruction in the form and in our Perguntas frequentes. Uma cópia do seu passaporte: your personal data including name, citizenship and photograph must be shown clearly. Copy of passport should be included together with the CV as a last fourth page. It is your responsibility to ensure that you have a copy of your valid passport to include. This is a fantastic opportunity designed by the Swedish Government to help Africans out of poverty and underdevelop. This is in line with Agenda 2030 .God bless the Government of Sweden. I would like to be part of this window of opportunity to contribute my quota to the development of Nigeria and Africa.